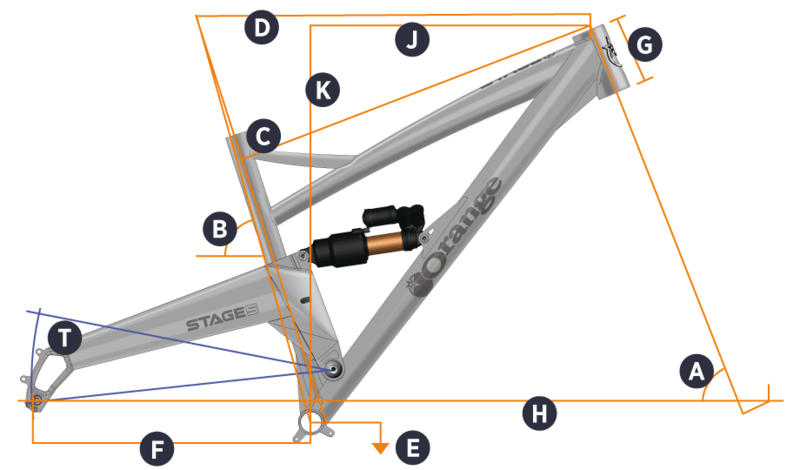 Forget everything you thought you knew about bigger-wheeled bikes: the Orange Stage 5 is here. Designed to go further and faster whatever the terrain, this bike signals a new generation of trail-loving 29ers where nothing’s off limits and everything goes. Big wheels and a super-efficient pivot position help transfer more of your energy straight into the trail – great for carrying speed and tackling epics. Meanwhile, the Orange Stage 5 frameset geometry is slack enough for the steeps and long enough for superb stability, not to mention the chance to reap the handling rewards of running a short stem. A sweet spot of 140/135 travel helps flatten even the roughest rock gardens too – perfect for pace, comfort and efficiency. With 148mm Boost rear spacing, internal dropper routing and a 5-year warranty on its handmade frame, the Orange Stage 5 is bang up to date and reassuringly future-proof. Make no mistake: in any of its guises this is one seriously versatile bike with an audaciously bold intention. Sunset Cycles offers the 2019 Orange Stage 5 RS 29er full suspension trail bike with up to 48 months 0% finance and free delivery.